The Origin of Anaesthesia for Cleft Palate and Harelip. In 1850 a young woman in Philadelphia called Sarah Dooley, wrote a delightful little letter to her cousin. Mary at this time was a medical student, and she wrote: "Yesterday, we had at the clinic a surgical operation, a boy 5 or 6 years old, with a harelip. It was bad case, and hurt the little fellow very much. We tied his hands and feet and two held him. It looked very much like butchering and it was unpleasant to see a child have to be hurt so bad." This demonstrates that in Philadelphia, there was no anaesthesia for cleft palate at that time, and there was good evidence that the same sort of feelings were held by some in London. For the middle years of the last century the Lancet carried a series of pieces under the general title of 'A mirror of practice in medicine and surgery in the hospitals of London' consisting of accounts of visits to the hospitals and the attendance at operations by a representative of the journal. He wrote weekly reports and in one of the 1850 issues he described a visit to Mr Gay at the Royal Free Hospital. Mr Gay, they say, had under his care a family who obviously had a genetically determined cleft palate deformity. There was a mother and two children, and of the mother they said she had a countenance rendered repulsive by virtue of a double and gaping hare lip. The older girl had a unilateral hare lip which had been repaired by Gay before the visit, but they saw the younger boy, who had a deformity very similar to the mother's, being operated on by Mr Gay. The account ended by saying that this boy was given chloroform and that "there can now be no overwhelming reason for withholding the benefits of chloroform in operations on the mouth. The insensibility may even by kept up for a pretty long period by now and then placing under the patient's nose, as we have seen Dr Snow do very frequently, a piece of sponge upon which more chloroform has been poured". Now, we know exactly what Dr. Snow did and we know why he did it, because he tells us this with rather engaging candour. He had by 1858, anaesthetised 184 children with hare lip, some as young as 8 days old, and he administered chloroform from the sponge. The operation was carried out during recovery from the chloroform anaesthesia and he tells us that the operation, up to the insertion of the pins for holding the edges together, took only 20 seconds! So it would appear that at this time the surgery for the repair of cleft lip, although it might have been done under anaesthesia, had not made any use of anaesthesia for producing a more leisurely procedure with a better cosmetic result. Snow tells us that sometimes he kept the anaesthesia going a little bit longer by applying a little chloroform on a sponge in the course of the operation when it is required to prevent the child from crying. At this period, Snow and Ferguson, with whom he did most of this work, shared the view which I think was universal at that time, that cleft palate repair could not be undertaken during anaesthesia. In 1852 one of the Mirror of Practice series in the Lancet, described a visit to King's College Hospital to see Sir William Ferguson, repairing a cleft palate. Having devoted two or three columns to the surgery the writer said that this operation was one of the few where chloroform could not be used. However, Ferguson had various ways of preparing the patient for its rigours. In order to school the patient to tolerate without gagging the stimulation of his pharynx, he made a practice of frequent use of a feather, slightly to irritate the back of the mouth, so that the irritability natural to that region should be, as far as possible, gradually diminished. As late as 1857, Mason Warren, at the Massachusetts General Hospital, (the son, I think, of the Warren we know better) wrote a book entitled Surgical Observations with Cases and Operations. He said very firmly that cleft palate repair is one of the very few operation for which the use of anaesthetics is inadmissible. Under very peculiar circumstances, ether could be used, but not without some risk to the patient and much embarrassment to the surgeon from the constant flow of blood down the throat. This book of Warren's was reviewed in the Dublin Quarterly Journal in 1868 in very complimentary terms and they quoted large sections including that paragraph about the inadmissibility of anaesthesia for the repair of cleft palate. It said "To this last paragraph we must demur, inasmuch as it is now fully established that chloroform can be given in these cases. Mr Collis of the Neave Hospital, gives it habitually and has thus been able to operate with success on very young children". At the time of this review no paper had been published by Collis, but he had delivered a lecture to the Obstetrical Society, in Dublin in December 1866, and in February 1868 he published in the Quarterly Journal an article which he described as largely the substance of a lecture to the Obstetrical Society. This paper described remarkable advances in the cosmetic results of the repair of hair lip, showing that he had capitalised on the leisurely way in which operations could be performed under anaesthesia and he coined the name for his particular operative procedure 'The aesthetic operation.' He also tells us that he had used chloroform anaesthesia for at least three years on all cleft palate operations, and it gave the operator great facility and enabled him to operate on the palates of very young children. 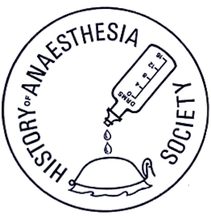 So here we have an example of a man who, so many years after the introduction of anaesthesia, only now seems to be modifying surgery to capitalise on the benefits which anaesthesia provided. Collis was an energetic and ingenious man; he used a camera and took clinical photographs in 1865. Wet collodion plates were used and were probably printed on albumin paper. Whilst excising an upper jaw for malignant disease, Collis slightly wounded his hand with a spicule of bone and died seven days later of pyaemia on the 28th March, 1869.